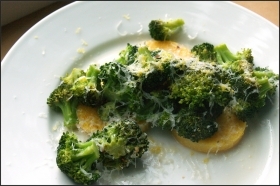 Have you made Broccoli With Rigatoni? 1. 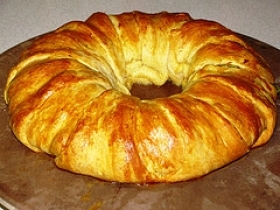 In a large skillet, heat oil and margarine and gently brown the garlic. 2. 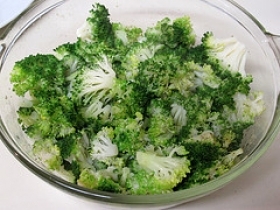 Add broccoli and stir gently until pan gets very hot. 3. 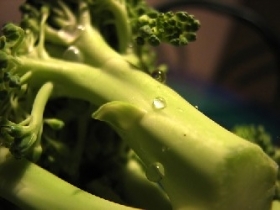 Add vegetable broth, cover and simmer until broccoli is al dente. 4. 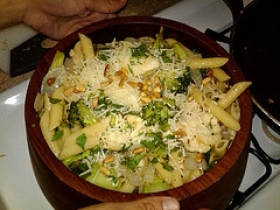 Add half the fresh basil and the drained hot rigatoni, cooked al dente, to the skillet and mix thoroughly. 5. 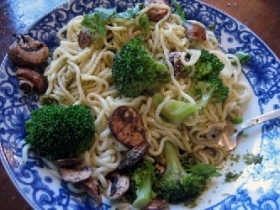 Put on a hot serving dish and sprinkle with parsley, pepper and remaining basil. 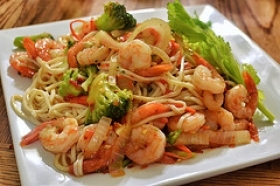 This recipe contains potential food allergens and will effect people with Wheat, Gluten, Garlic, Olive Oil allergies.